Ekaterina was born in St. Petersburg, Russia. She holds a degree in piano performance and had an opportunity to learn from top teachers in Russia and US. In recent years Ekaterina has been teaching music to children in New Jersey and achieved excellent results. One of her students reached the second place in all-New Jersey music competition and many small kids have shown tremendous progress. As a next step, Ekaterina decided to open a music school in order to bring the best teachers in various music disciplines to Hoboken. Besides music education Ekaterina holds a joint degree in economics/accounting. Ever since his auspicious New York debut, pianist Gleb Ivanov has been recognized as an important presence in the music world. The New York Times wrote: Gleb Ivanov “is a cut above the usual, a young super-virtuoso, with musical sensitivity and an appreciation of style to go with the thunder and lightning.” He has been thrilling audiences in recital and orchestra engagements, which this season include concertos highlighting Russian composers – Rachmaninoff’s Rhapsody on a Theme by Paganini, Prokofiev’s Concerto No. 3, and Rachmaninoff’s Concerto No. 3. A sought-after soloist, he has performed a wide range of repertoire with orchestras including the Symphony Orchestras of Missouri, Johnstown, West Michigan, Eastern Connecticut, South Bend, Westmoreland, Southwest Florida, Peoria, Knoxville, Dearborn, Las Cruces, Grand Rapids, Fort Smith, Southern Finger Lakes, Springfield and Napa Valley, the Indianapolis Chamber Orchestra and the Colorado Springs Philharmonic. View videos of Gleb performing here. Jesse Ann Mahat is a classically-trained pianist who has been teaching private piano lessons in Hudson County for over 20 years. She is a graduate of The College of New Jersey where her music studies focused on Piano Pedagogy and Accompanying. She continued her studies in the Piano Pedagogy Professional Certificate Program at Westminster Choir College. She resides in Hoboken with her husband and their three children, ages 4, 3, and 2 years old. Jesse Ann enjoys exposing her own young children to music and engaging them in activities at home. She looks forward to sharing her passion for music and experience with children with other families. A native of New Jersey, Jessica is an active performer and teacher in the New York metropolitan area. She has appeared in solo, chamber and orchestral performances at distinguished venues throughout the world, including Carnegie Hall, Alice Tully Hall, Avery Fisher Hall, Merkin Concert Hall, the New Jersey Performing Arts Center, the Santa Barbara Bowl and the Mozarteum Concert Hall. She recently made her off-Broadway debut as the cellist in the Theatre for a New Audience's production of Pericles, directed by Tony Award-winning director, Trevor Nunn, and with music by Shaun Davey. As someone who grew up surrounded by music, Jessica is a passionate music educator who strongly believes in the positive and lasting effects of music during a child's growth and development. Jessica has taught with the New Jersey Youth Symphony, the Harvard-Radcliffe Musical Outreach to Neighborhood Youth (HARMONY) Program in Boston and the Harmony Program in New York City. She is also on the faculty at the Music Institute of Long Island, and is currently completing her Suzuki Teacher Training at the School for Strings with master teacher Pamela Devenport. Jessica holds a B.A. in psychology from Harvard University and an M.M. in cello performance from The Juilliard School. For more information, please visit www.jessicajwang.com. Ms. Celine Boulben, a native of Paris, France, began her formal training in violin, piano and vocal performance at the Maîtrise de Chartres School and Ensemble in France. She then studied at the Conservatory Gustave Charpentier and later focused her studies on violin performance with Florin Croitoru and Stefan Gheorghiu at the National University of Music Bucharest in Romania, where she completed her bachelor of music degree. Ms. Boulben has had over six years of teaching experience. She has taught violin and music theory to students of all ages, from 5 years old to adults, at music schools such as Yamaha Music School of Chartres, France, the Conservatory of Luisant in France, Graf-Art Festival in Romania, Arete Music Academy in New Jersey, Giuliano's School of Music in Stamford,CT. After moving to New York, Ms. Boulben has remained as an active performer in various musical styles, ranging from Baroque, Classical to improvised music. Ms. Boulben has often appeared in performances with orchestras and chamber ensembles. Recent performances include Martha Cardona Opera Orchestra at Merkin Hall in New York, Handel’s Messiah at St. Mark’s Episcopal Church in New Canaan, CT, Chappaqua Orchestra in New York, and Graf-Art Festival in Romania. Born in Russia, but growing up in Mexico, Alla discovered her love for the collaborative arts at early age. Since then she has enjoyed an international career as a collaborative pianist to emerging stars in the musical world. She maintains an active performing career with vocal and instrumental partners and chamber ensembles. Currently Alla is staff pianist at Mannes College New School for Music where she works for the College and Prep divisions. Past positions include being part of the accompanying staff at the Rotterdam Conservatory (The Netherlands), the Rudolf Steiner College (The Netherlands), Scuola di Musica di Fiesole (Italy) and the Jalisco State Choir (Mexico). Alla has performed at festivals throughout Europe, Mexico and the United States, including The Cervantino International Music Festival in Guanajuato (Mexico), Festival de Mazatlán (Mexico), "Kamermuziek Festival tussen Maas & Waal" (The Netherlands), "Het Rusische Muziek" (The Netherlands), Beverly Hills Chamber Music Festival (United States), Lucca Music Festival 2008 (Italy), Aspen Music Festival (United States), and Glimmerglass Festival (United States). 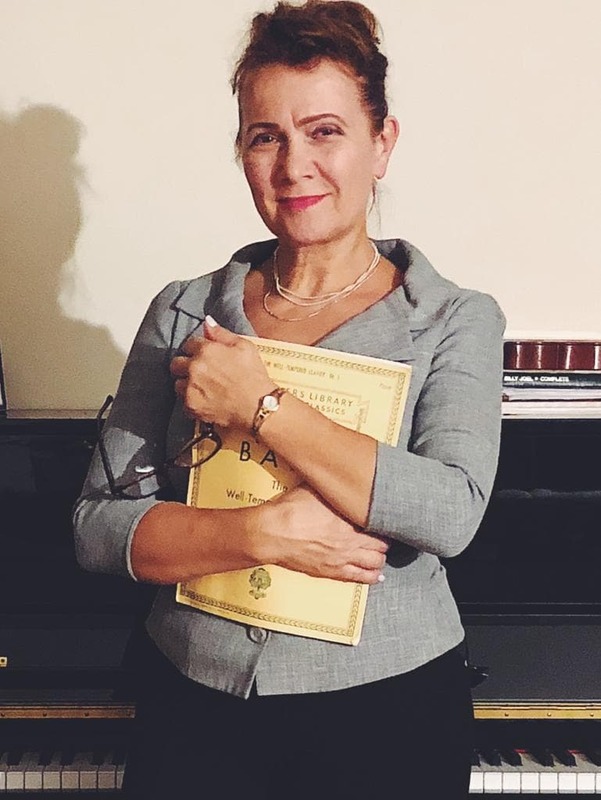 Ms. Milchtein served as a staff pianist at Competitions, including Mannes Concerto Competition, international Voice Competition (Sinaloa, Mexico), Postacchini International Violin Competition (Italy), Vriendenkrans Concours of Concertgebouw (The Netherlands), etc. As as a coach/répétiteur, Ms. Milchtein has previously worked for Glimmerglass Opera, Aspen Opera, New Opera NYC, Jalisco State Opera (Guadalajara, México), Rotterdamse Opera Productions ,"Blue Bottle” Opera Company (The Netherlands), Vocedidone Opera Studio (The Netherlands) and “Pepita Embil” Zarzuela Company (Guadalajara, México). Alla Milchtein received both a Bachelor’ s degree in Piano Performance and Master’s degree in Piano Performance and Chamber Music from Rotterdam Conservatory (The Netherlands), where she studied with Mila Baslawskaja. Ms. Milchtein also pursued her Professional Studies in Collaborative Piano at Mannes College New School for Music (New York) where she studied with Cristina Stanescu. During her studies she was awarded a scholarship and was also a recipient of “excellence in accompanying” award. Ms. Milchtein was awarded a fellowship from COJECO Blue Print to record a CD of solo piano music of Jewish composers from around the world titled "Musical Journeys through the Jewish Diaspora" which was released in 2015. Highly motivated by New York City, cellist Jihwon Na has performed as a soloist, chamber and orchestral musician in various genres including classical, jazz, and contemporary music throughout U.S. and South Korea. She has won many competitions in cello and piano performance in South Korea and the United States. She has performed at Carnegie Hall Stern Auditorium Perelman Stage, Weill Recital Hall, Lincoln Center Alice Tully Hall, Kaufman Music Center Merkin Concert Hall, Consulate-General of Poland NYC, Symphony Space, New York City Center. She was a principal cellist of the Ensemble 212 and solo cellist of Secret Opera. She received a Bachelor of Music and Master of Music degree in cello performance from Mannes School of Music, where she is pursuing Professional Study Diploma under a merit-based scholarship. Her interests include photography, travelling, nature, and nutrition. My goal is to make the students feel a sense of music appreciation. It is important to help the students enjoy music and appreciate it through the act of playing music. Hopefully, as they grow, music will remain a part of their life and they will feel that their life has been enriched by music. Born in Russia in the family of an air force pilot. Mother played accordion and sang folk song. Since 5 years old, I sang on television and attended music school. I attended Rostov School of Art, majored in theory of music and piano. Upon graduation, I was sent to the regional music school. 1980-1986, Attended Rostov-on-Don Conservatory named after Rachmaninoff (renamed the Musical Pedagogical Institute). Majored in Theory and History of Music. Worked as an accompanist at V. Rastorotsky Then married, in Kiev 1983-1990 Accompanist of the School of Rhythmic gymnastic of Olympic reserve, created custom made compositions for individual gymnasts. 1990-1993 Kiev school of art Piano teacher Moved to US in 1996, worked as a piano and sol-fa teacher, group & individual lessons What are my ambitions and goals? *Child psychology *The influence of music on the development of the child *Theory of Music on the Development of Logic *The relationship of musical and mathematical thinking in children. My Thesis was based upon the above mentioned. *Piano technique and a love for improvisation.